This pattern is for those that would like to check it. Please let me know if it's wrong or if there is any way to make it clearer. Join to 2nd and 4th picots of 1st round chains. Love the butterfly I may just give it a try!!! 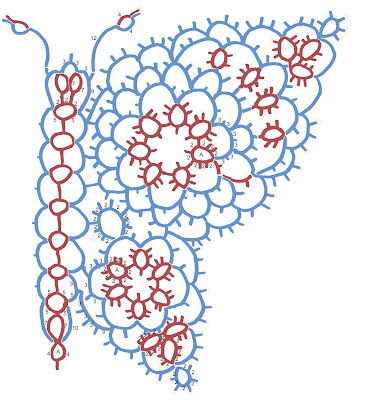 Also have you decided on the test tatting for the purses yet! Would love to give that a try as well! I've had the purse tested. It's now in the hands of the man who invited me to Japan. I'm going to have a friend put it into PDF so it will print out better for everyone. I've always liked this pattern. I think it was out of a needlecraft too. I made a few of them years ago in a butterfly exchange. I don't have time right now or I'd try your instructions out. Sounds like you are headed for a good time! Thanks. This looks like a great pattern to try. 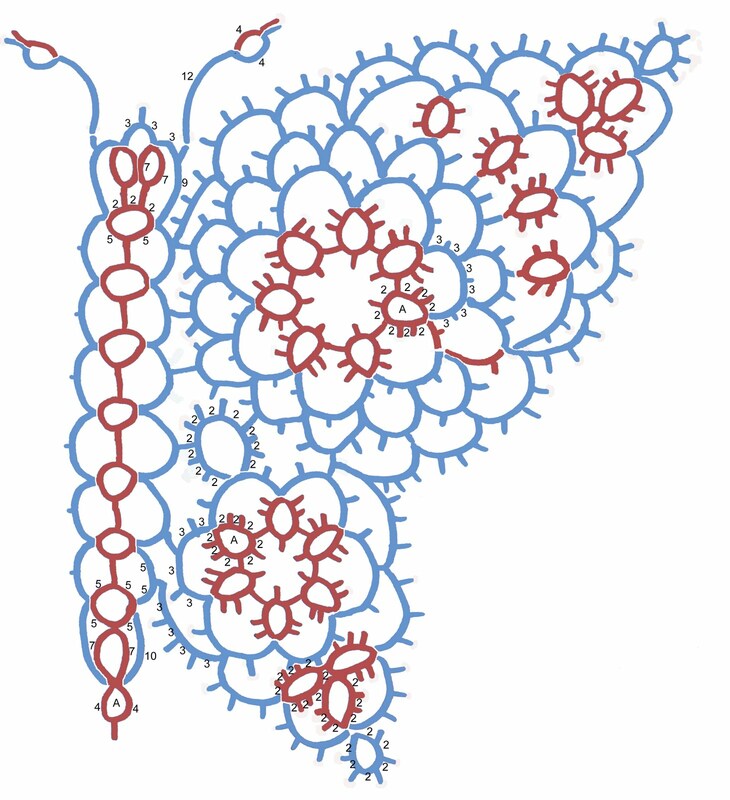 I must tell you, your site was one of the first pages online about tatting that I ever saw! Before I found eTatters and learned to tat, before the blog, even before I knew a Clover from a picot! I remember being very intrigued by the history of shuttles and I enjoyed the old photos. 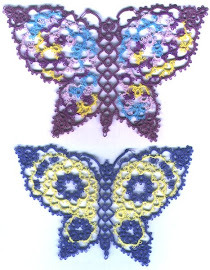 This is one of my favourite butterfly patterns, it is so easy to adapt. I wish I had time to tat it from your directions but I have tatting project on the go and a first grandchild due in 2 weeks. I am actually working on a test tat of this pattern. I have a little more to do then I will let you know how it went for me. I'm not a real experienced tatter, but that might be helpful in determining the level of difficulty for your version. I'll let you know more when I finish.